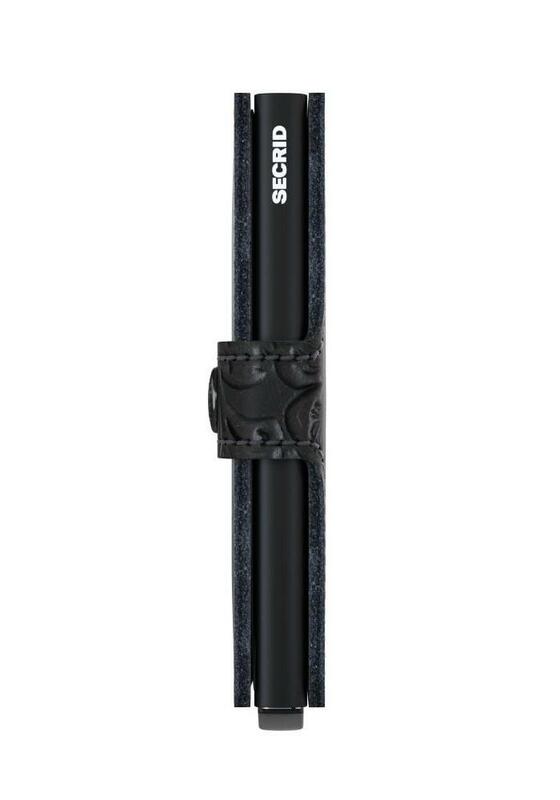 The Secrid Mini wallet is a compact wallet and easy to carry with you because of its light weight and small size. 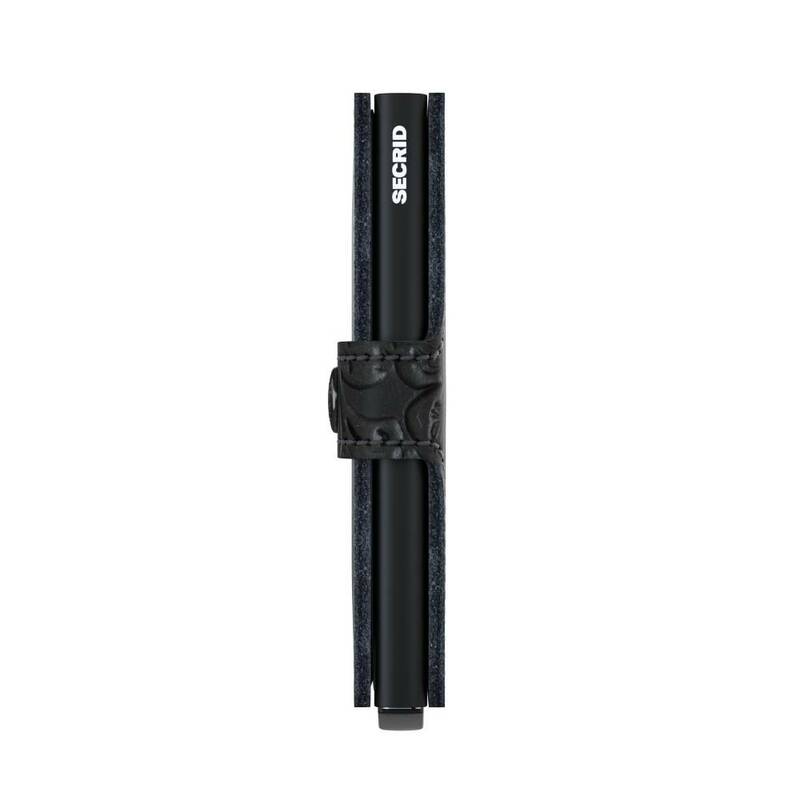 Thanks to the unique design, the cards are cascaded outside for easy selection. 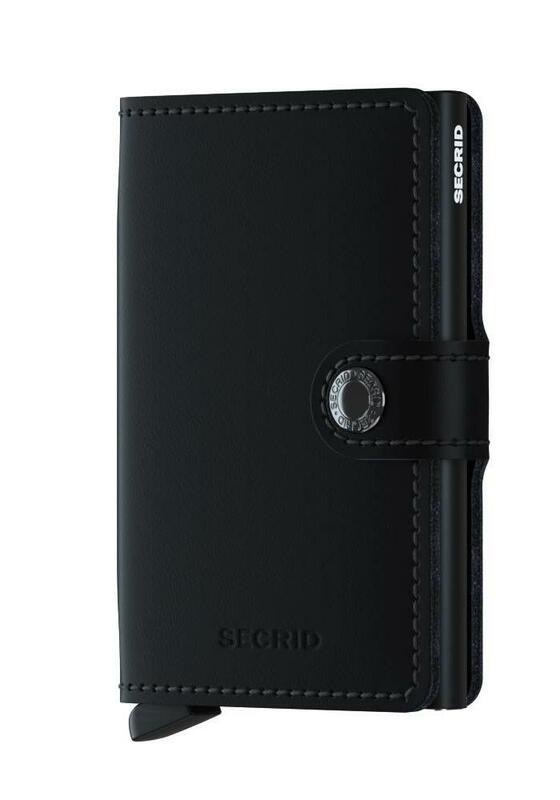 The Secrid Miniwallet Matte Black has a soft and smooth surface with a matte finish. 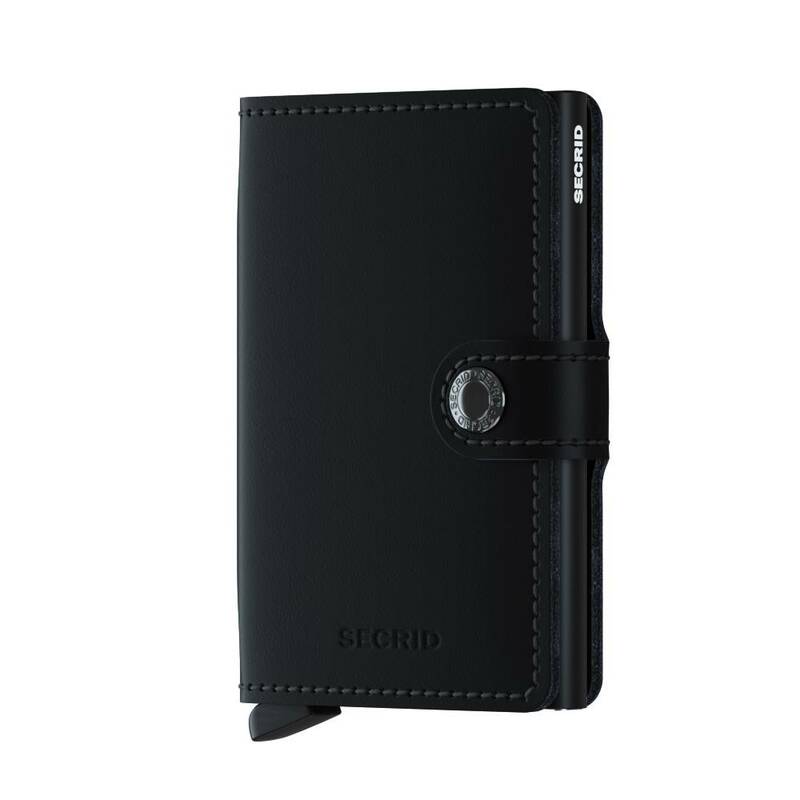 A robust type of leather that can withstand the daily routine. 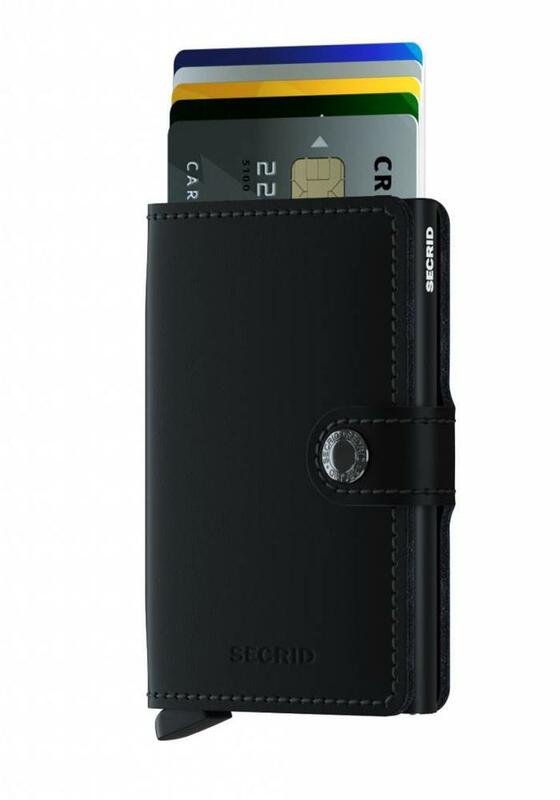 In addition to space for (up to) six passes in the aluminum section, the wallet offers space for paper money and there are still some passes on the inside. 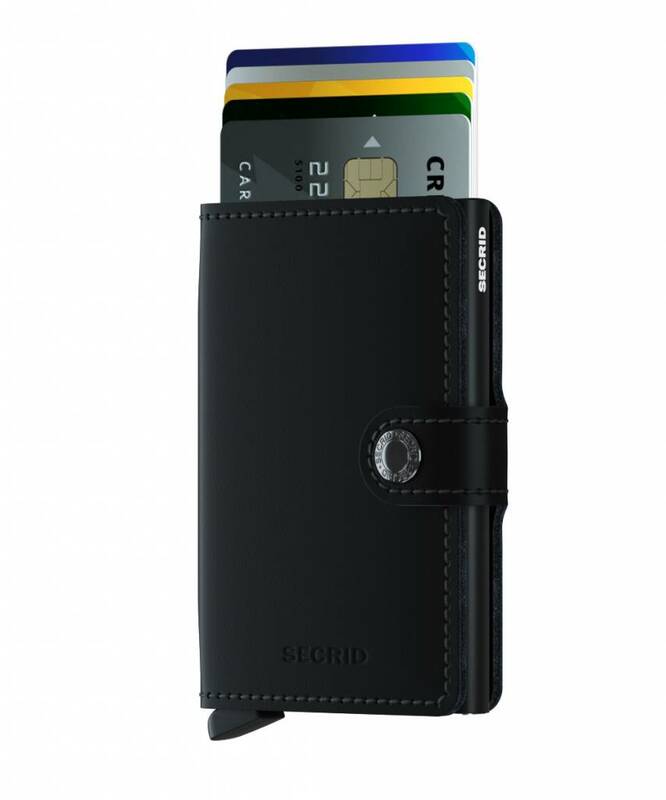 The Secrid Miniwallets are made in the Netherlands of premium quality (Dutch) cow leather.